Winter is an excellent moment of the year. Bewitching beauty of nature, fresh, frosty air. But, despite all this beauty, in the cold season, our body is faced with a real ordeal. This is very true of the facial skin! The main problem that we all face in the cold season is excessive dryness, redness, and irritation. What happens to our skin in winter? The body wants to adapt to the cold season and protect themselves in all possible ways. He does this by compacting the top layer of the skin. For morning and evening washing, choose the soft means – cream or milk. Well, cope with skin cleansing gels for washing, sparing in composition. A great option is to wash with herbal decoctions (for example, mint or chamomile). Peeling – a mandatory step in the care of “winter” skin. We use for this purpose home scrubs. One of the most affordable options – coffee grounds apply to cleansed skin. Winter cream should be as moisturizing as possible, and it is necessary to apply them on the skin 30-40 minutes before going out. Otherwise, you risk getting the opposite result – hypothermia of the skin. This is because all creams contain water or other moisturizing ingredients. And if the cream did not have time to be absorbed entirely and remained on the surface of the skin, then on the cold street air would quickly “freeze” the face. For moisturizing, the skin is well suited and home remedies – masks from natural products. Do not forget to apply a compress or poultice before using the mask. To do this, moisten a towel with a decoction of chamomile and mint and put on a face for 2-3 minutes. All masks in the winter period do more often than usual – every 2-3 days. The blood vessels react to frost by expanding – and the face turns red. But when exposed to intense cold and extended stay in the frosty air, the ship narrow and the skin becomes pale. This leads to vasospasm. As a result, the blood supply to the tissues deteriorates, the metabolism is disturbed, and the activity of the sebaceous glands decreases. Therefore, the skin becomes pale, dry, lethargic, and then – irritation and peeling. And the usual care in such weather conditions is not enough for her. 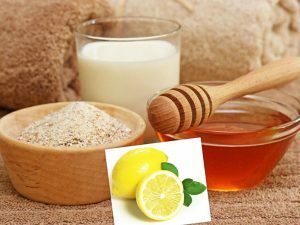 These are the simplest face masks at home – they can be made from what is in the fridge of each hostess. But thanks to them your skin will shine freshness and health. For its mixture, it is necessary to take 2 teaspoons of fruit juice (apple, lemon, grapefruit), half of the raw egg yolk, 2 teaspoons of cottage cheese and 1 teaspoon of vegetable oil. Ingredients should be crushed and mix thoroughly. The mask is held on the face for 15-20 minutes, then washed off with warm water. 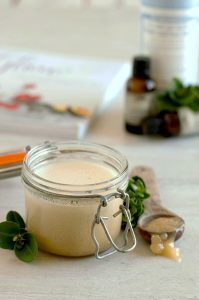 This recipe is especially useful for skin that is normal or oily. You will need 1 tablespoon of crushed oatmeal, 1 tablespoon of kefir or milk, 1 tablespoon of liquid natural honey. Clean the skin, apply the mixture to it for 10-15 minutes. If the skin is prone to dryness, you can add 1 teaspoon of vegetable oil (grape, olive, peach) to the mask. This mask is suitable for any skin. Take 2 tablespoons of low-fat cottage cheese and pound it well with two yolks. Add 2 teaspoons of strong tea or the same amount of lemon juice to the mixture. 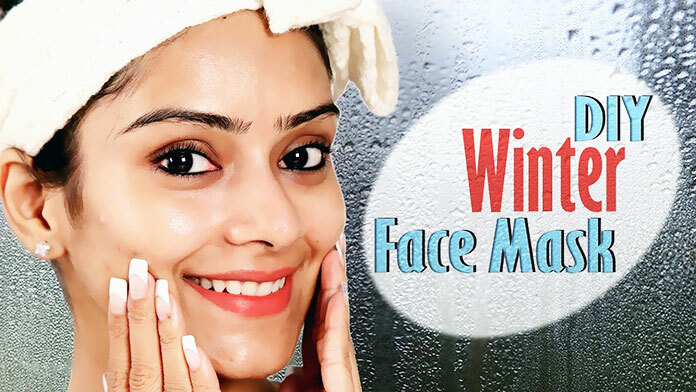 Utilize the mask on a clean face and after 25 minutes, rinse with fresh water. The mask cleanses the skin, makes it smooth, eliminates redness and peeling, perfectly nourishes. Cut a little pulp from the ripe persimmon fruit and mash it into mush. 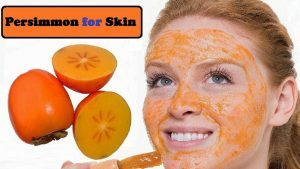 Add in a persimmon half a teaspoon of olive oil or a full teaspoon of sour cream with a fat content of 20%, mix and apply the mask on your face. Leave for 20 minutes and then rinse with warm water. Velvet – these are the kind of associations you will have when you touch your skin! Do you have questions to the beautician? 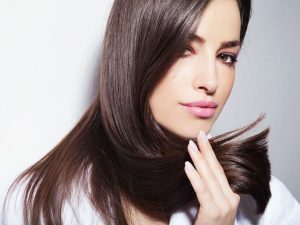 You can ask them in the blog of a cosmetologist and get her qualified answer in the same place!